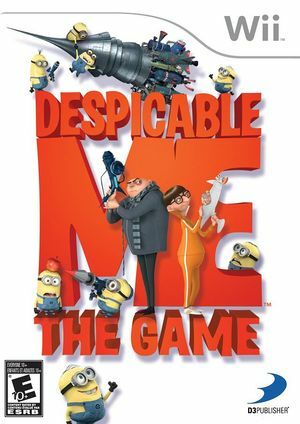 In Despicable Me, players become the mastermind Gru, planning and plotting to build a rocket ship and steal the moon. Players will command an army of tireless, little yellow minions to complete puzzles and missions and use an arsenal of despicable weapons and gadgets such as magnet guns, freeze rays and battle-ready vehicles to vanquish all who stand in their way. Players will fly Gru's aircraft in daring missions against his rival, Vector, and play as Gru or Vector in a variety of multiplayer air combat modes! The graph below charts the compatibility with Despicable Me since Dolphin's 2.0 release, listing revisions only where a compatibility change occurred. This page was last edited on 7 February 2018, at 17:12.